originally adobe brick; photo 2012. George Smuin was born Nov 11, 1844 in England and emigrated to Zion in 1864. He immediately began working for the railroad to earn passage money for his family still in England. Eliza Gaisford was born in Ogden in June 1853 to immigrant parents from England who spent their first winter (1852-1853) in a wagon box “down by the Mount at Mount Fort”. 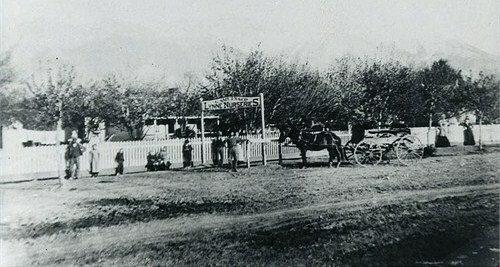 After ten years of saving George’s family arrived in Ogden in Nov. 1873. George and Eliza had 3 children by the time his parents arrived. The burden to provide food and shelter for his extended family initially fell on George’s shoulders. His willingness to help them was clearly demonstrated as he provided for them and built a house for his parents while simultaneously trying to raise and provide for his own family. The house he built for his parents still stands at 460 S. Adams Ave. The original home is adobe brick. 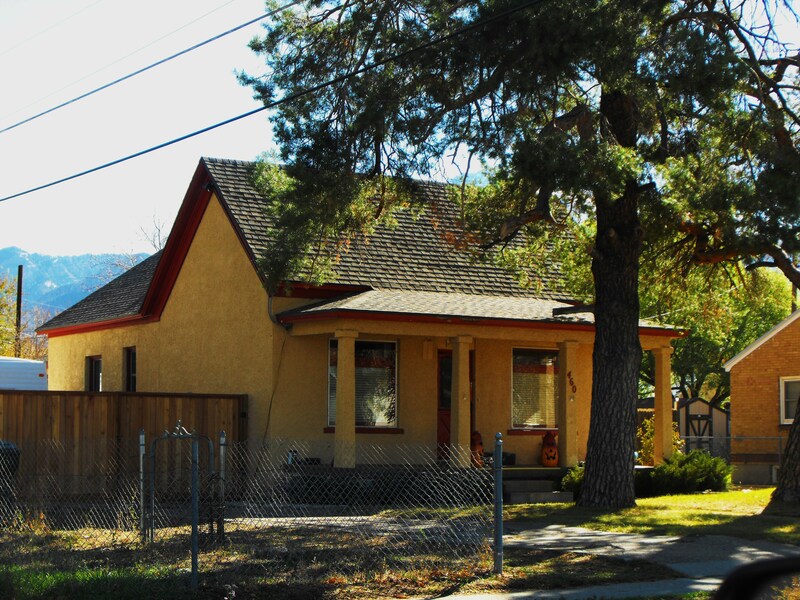 It was modernized in the early 1900s by adding a porch and covering the adobe with a plaster/stucco combination. It is said that the pine trees in front of the house came from Lynne Nurseries. With a growing family, George supported his family with the business of harvesting fruit and establishing a nursery. He had the first nursery and the only hot house in northern Ogden called the G. Smuin & Co. of Lynne Nurseries. 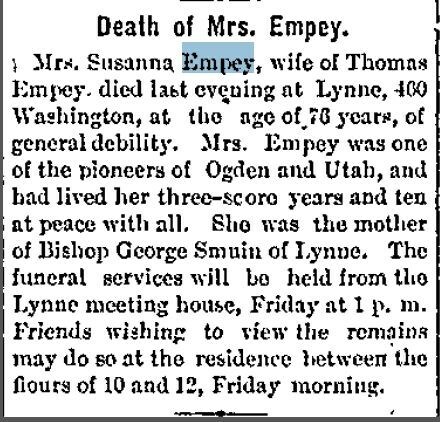 He also became involved with the Lumber industry, and for many years served as Vice President of the Utah & Oregon Lumber company located along 24th street and Lincoln Avenue. George had an entrepreneurial spirit that benefitted his family and other new immigrants. He had the advantage of employing many immigrants in the strawberry fields and then commanded a high price for his produce by sending it on the railroad to a market outside of Ogden. He made a pond at the bottom of the hill by today’s 5th Street to harvest ice during the winter and then used the ice to ship his berries on the rails. The pond was called Smuin Pond. George’s mother died in 1899 and his step-father in 1905.